The village was built on top of mana deposits. They harness magical forces which mean buildings will magically repair themselves over time. 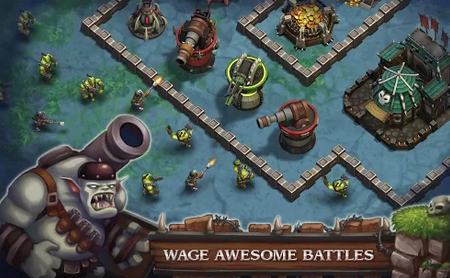 Mana is required for training troops and constructing many buildings. You can extract mana from the underground deposits. The collector can only store a certain amount of mana. Build a storage vat so you can place all mana in storage. Get a gold storage buildings so you can store all your gold. You can construct more buildings with an upgraded town hall.